Photo: Students at our Children’s Hope Center School are happy to receive three meals a day and access to a free education. Today we bring you some important updates from our work in Kampala, Uganda. First we take you to our Kampala ‘She Has Hope‘ rehabilitation home, modeled after our Kathmandu, Nepal, rehabilitation home, both of which empower women and girls to recover from the trauma of human trafficking. Four girls are currently enrolled at our home in Kampala and as part of their skill development coursework they are learning to create bracelets and necklaces made from handmade paper beads of several varieties. Their beautiful creations are sold online in our ‘She Has Hope’ crafts shop where all proceeds go toward their rehabilitation. We recently acquired a tailoring machine, so we can now expand the the girls’ development coursework to include tailoring, an extremely valuable skill to learn which should provide steady work for the girls after they graduate from our rehabilitation program. We are seeking to raise $900 to purchase 9 more tailoring machines (approximately $100 each) so that more girls can learn this skill together at the same time. We are also needing to purchase a higher quality rental home — right now the home is not adequate for our needs and the safety of our girls. With your support, we are seeking to build a fund of at least six months’ rent and utilities which comes to about $1,800. With a larger, improved facility we hope to further expand the skill training being offered to the girls to include hairdressing. 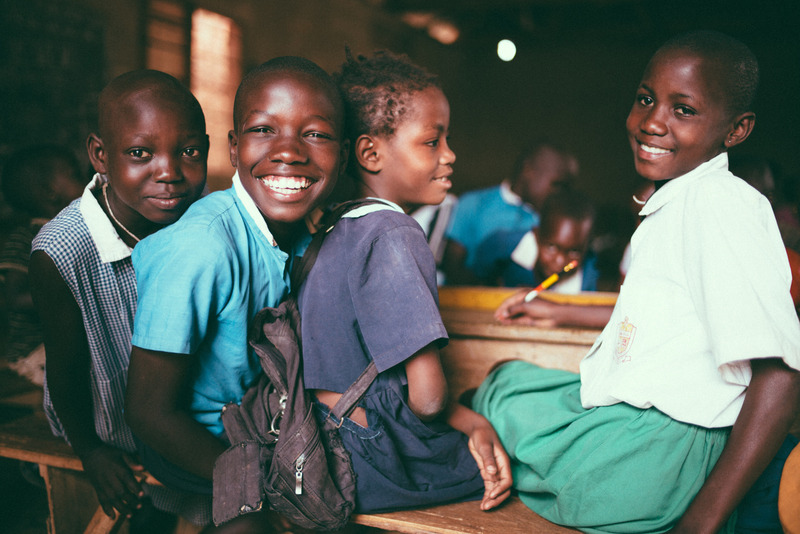 Next we take you to our Children’s Hope Center School in the slums of Kampala where we have 143 children (ages 3-15) enrolled — they are studying English, math, science, social studies, writing, reading, Luganda (one of the native languages of Uganda), and physical education until the current school semester ends on August 17th. Despite the positive progress of education being offered in the slum colony, the school continues to face some challenges, mostly from damage caused to our humble facility during severe flash floods. The colony is located at the base of the Gaba hills approaching Lake Victoria, so the area is very vulnerable to flooding during the rainy seasons. Thankfully the rains have recently subsided, but we sustained some damage from the subsequent flooding — our school books and desks were destroyed as well as the additional pit latrine toilet which we recently started constructing. 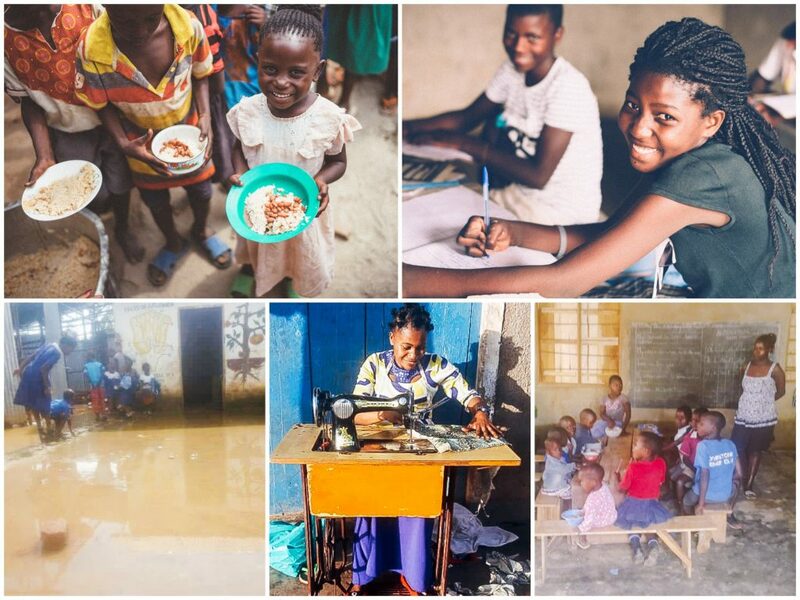 Thus, to be fully prepared for the next school semester, we desperately need to raise $200 for new school books, $500 for new desks, and $800 to complete the pit latrine toilet. Thanks to your faithful support, our amazingly hard-working field director is able to take the modest budget we have allocated for him and make it stretch into 3 meals a day for the 143 students. The meals consist of basic staples such as corn, potatoes, rice, and flour made from cassava root. Sugar is added to the cornmeal to make a sweet porridge for breakfast, salted rice and beans are offered for lunch, and potato soup or other potato dishes are offered for dinner before dismissing the children for the day. However, sadly, it is not uncommon to see children from the community lined up at the school gate with empty bowls hoping to get leftovers. I am Esther and I was born in Gulu. My life was really bad — I was brought up as an orphan and my education was a miracle. I was living on the streets and someone picked me up and helped me to study until I was a second year graduate. So now I can help these children and teach them even though the environment we are teaching in is not okay and the pay is not as good as we would like — sometimes we are paid very little money but we do this work for the children. I use the salary for buying food, soap, salt, sugar, and my rent, but the situation here in our colony is not good. But God is helping this Hope Center School. I am helping these children because I was once an orphan and want to help make a better future for them like someone once helped me. I have a husband, but he doesn’t have a job so we are trying to live on what I make and care for our two children. It is hard but we are doing our best.